Summary: Banks of all stripes are hiring students and recent graduates as interns. How to start your own intern program to attract young talent. For the first time, Coca-Cola will be making alcoholic drinks to sell in Japan. 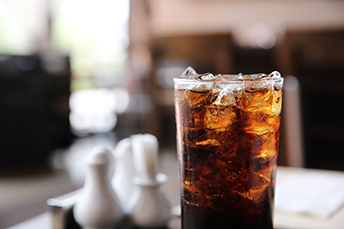 Coke plans to mix its cola with a distilled grain-based alcohol to deliver a ready-to-drink, alcoholic beverage. This market grew 9% last year. Coke has launched other innovative products outside of the US before, such as a high-fiber version of Coke called Coca Cola Plus, but this is the first move into the alcohol market. This Coca Cola innovation is a good lesson for bankers too. No, you shouldn't get into the cola/alcohol biz probably, but change is good. After all, there are many new and interesting ways to attract millennial and Gen Z employees that some banks are trying. One of these is at the internship level. Banks of all stripes are hiring students and recent graduates as interns. New hires shadow the CIO or other key IT member for example. Everyone then collaborates on fintech ideas and strategies that could transform banking services. One example is Citibank's innovative business unit known as CitiVentures. It formed a partnership with 12 universities last year, in which student interns are embedded across the bank's operations. Those interns get course credit for working on projects focused on emerging technologies, such as machine learning, natural language processing and big data analytics. Some 200 students have participated in innovative projects since last year, and Citi expects to further this program and partner with more universities given the success. In another example, a regional bank in NE is looking for interns to help the bank expand into new lines of business or improve operating efficiency. Among other things, interns will work on finding, evaluating and partnering with technology companies to further the bank's goals. Successful candidates must have strong interpersonal skills to "build cross-functional, collaborative relationships and influence key stakeholders." Yet another innovative community bank in PA was recently looking for an intern to help with research, implementation and development of new and current bank programs. The bank also wanted the intern to test new systems and provide recommendations. The top two skills the bank was seeking were: out of the box thinking and the ability to communicate technical information to nontechnical teams. The bank already indicates success, and the focus on tech savvy interns is interesting. For all community banks, appealing to the younger generation with creative opportunities delivers talent into your bank. It can also move along technology-based projects with fresh eyes and minds, and that is good too. For banks hiring interns, remember to give the intern a tough yet realistic challenge to keep them engaged. Provide interns with plenty of support, but also give them chances to recommend and advise as well. Doing so, shows your bank as an employer, which cares about that person's own personal development and career. Internship programs build a bench of strength you can draw on in the future, but when done right, they can also deliver value almost immediately. Such programs can also very well prompt young interns to choose to begin their working lives at your community bank, as you develop their entrepreneurial spirit. Here's to that! An ICBA survey of community bankers finds: 60% expect compliance spending to increase by at least 5% this year, 36% expect it will stay roughly the same and 4% expect it will decrease by at least 5%. An Instamotor survey discovers that the financial areas parents are discussing with their millennial kids are: saving (72%), budgeting (59%), debt (50%), credit score (49%), bill management (48%), home purchasing (46%) and investing (35%). In February, the Fed sanctioned Wells Fargo for not putting appropriate risk controls in place, preventing the bank from growing past the $1.95T in assets that it had at the end of last year. The Financial Stability Board said shadow banking assets outside the banking system based on its narrower definition (risk to the financial system) jumped to $45T, or about 13% of the overall global financial system. Meanwhile, a more standard definition of shadow banking balloons totaled over $99T or about 29% of the system. An ICBA survey of community bankers finds: 80% expect to have the same number of branches at the end of this year, 14% expect more branches and 7% expect fewer. The Treasury Department said it has added certain digital currency addresses to its sanctions list related to blocked persons.